This is a sample entry from Brian Cullen’s email newsletter, The Cullen Outlook, published on September 19, 2012. 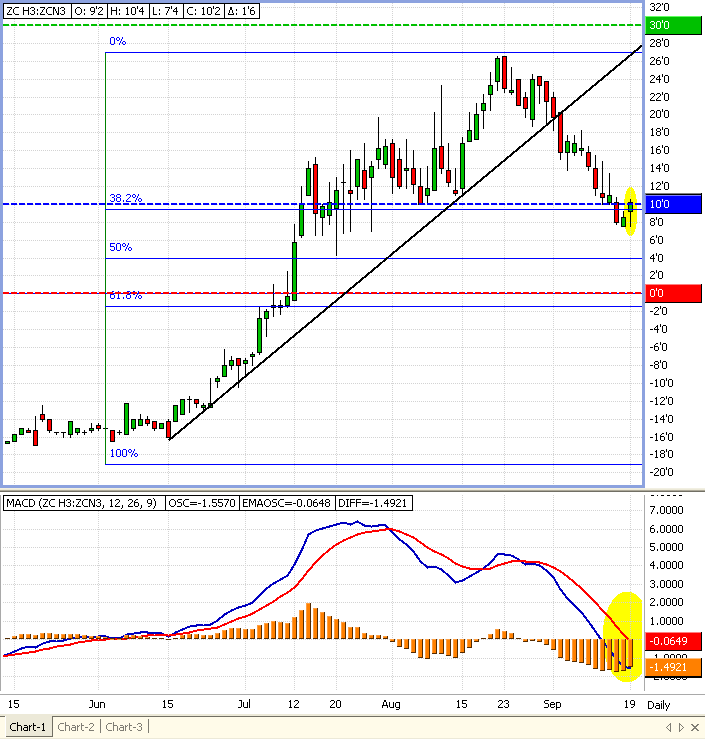 I am looking to get long the March 2013 CORN at this point. With the volatility that has been present as of late, I will use a spread against July 2013. We have had a recent price break and I believe this is a great spot to get involved. Harvest pressure, lack of new buying interest and lack of demand issues have brought 2012 crop down by roughly $1.00 in the past month. As these issues are being dealt with the December futures, 2013 is a brand new animal.